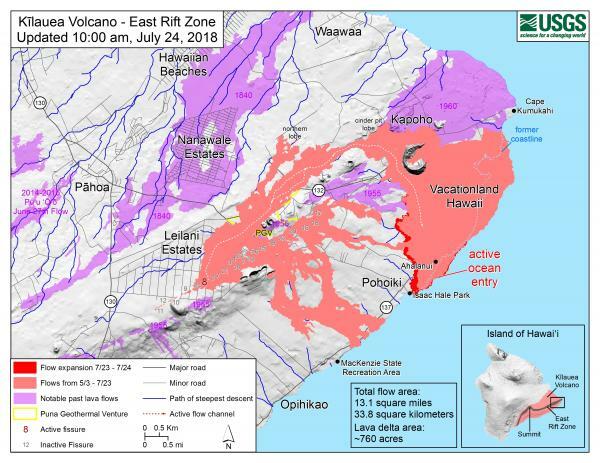 Lava update with Ikaika Marzo abound Ohana of Kalapalana Cultural Tours. This live update was at 6:08 pm today July 24, 2018. The lave entry is about 3 miles long with lots of entries into the ocean. 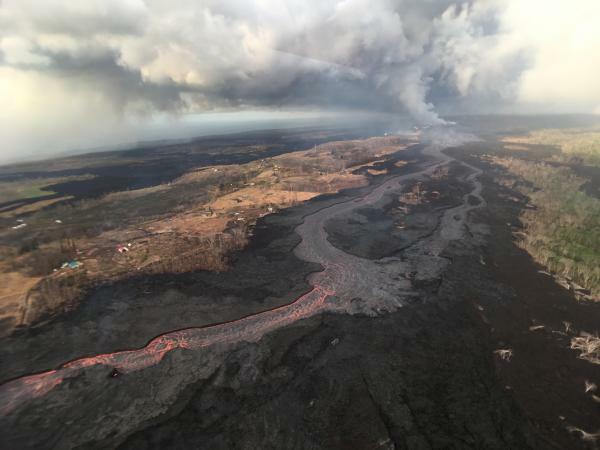 The lava is at the parking lot but Pohoiki is stil there for now. 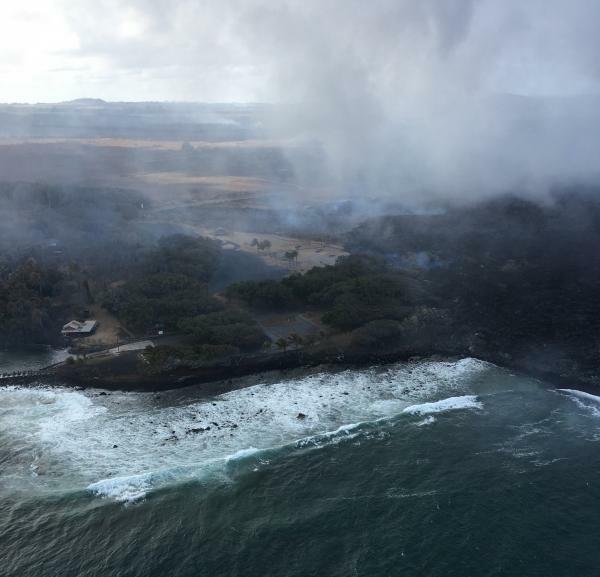 The lava has extended about 100 yards into the ocean where Shack’s and Bow’s were located. 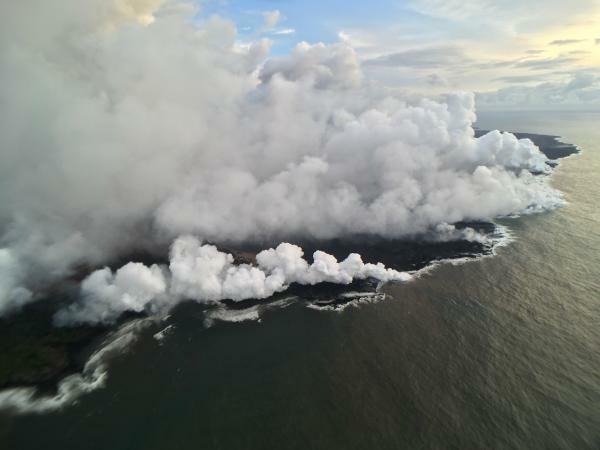 Live at the ocean entry aboard lava vessel OHANA.